When I lived in London I loved spending days on my own. Getting lost on the streets and dining alone, I was fiercely independent and my solo time was precious and something I enjoyed on a weekly basis. Fast forward five years and I'm now living in Newcastle - a happily married lady with plenty of friends and a diary so full of plans I've somehow forgotten the joy in spending a day by myself. 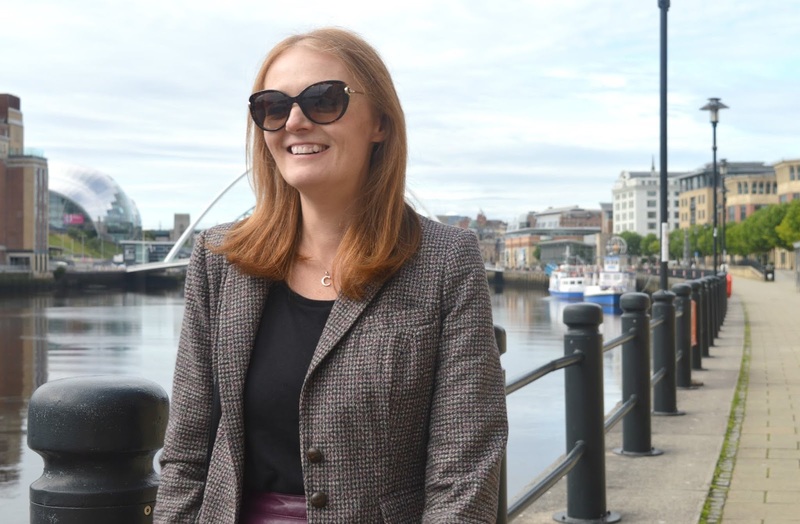 So recently I've made it my mission to recapture that love and have had the most fantastic time dong it - so I've put together this little guide on how to spend a day on your own in Newcastle. When I mentioned on my Instagram that I was taking some time out to rediscover the joy in eating alone in Newcastle a lot of people commented that they would love to be able to enjoy food on their own but were too nervous. The thought of sitting at a table without a friend really terrifies a lot of people, but there really is nothing to worry about. When I'm eating alone I always opt for little local independent eateries. 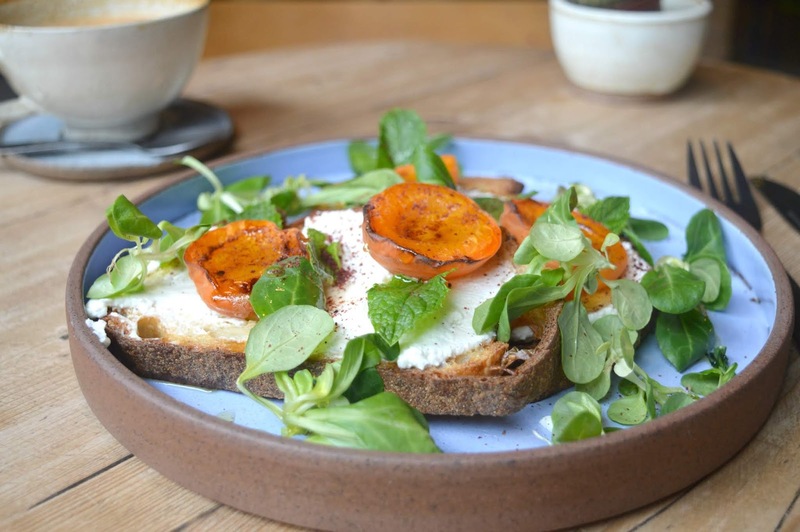 Places like Kiln in Ouseburn - where people truly care about their customers and create a happy, friendly environment are absolutely perfect for solo dining. I love to try somewhere that I've been wanting to visit for a while (the excitement of a first time visit always stops me feeling nervous!) and when I go in I will always head straight to the counter to say hello and ask about the menu. Striking up a conversation with people immediately makes me feel better about being alone. I like to pick a table that's snuggled away in a corner, preferably by a window so I can enjoy some people watching. If you're feeling a little awkward about being on your own then gazing out the window at folks passing by will instantly put you at ease and failing that it's always a good idea to have an emergency magazine in your bag that you can bury your nose in. The best way to ease yourself into some solo time in Newcastle is to enjoy a full day of shopping on your own. Although hitting the high street with friends can be fun it's not always the easiest way to shop. Going out on your own means you can pick which shops to go to, decide when it's coffee break time and can go in and out of the changing rooms as much as you like without worrying that your friend is stuck waiting for you. Some of my very best purchases have been made on a solo shopping trip and I tend to find that if I'm on my own I really take my time to make sensible decisions, try clothes on and don't end up buying things I don't really need because my over enthusiastic friend egged me on. 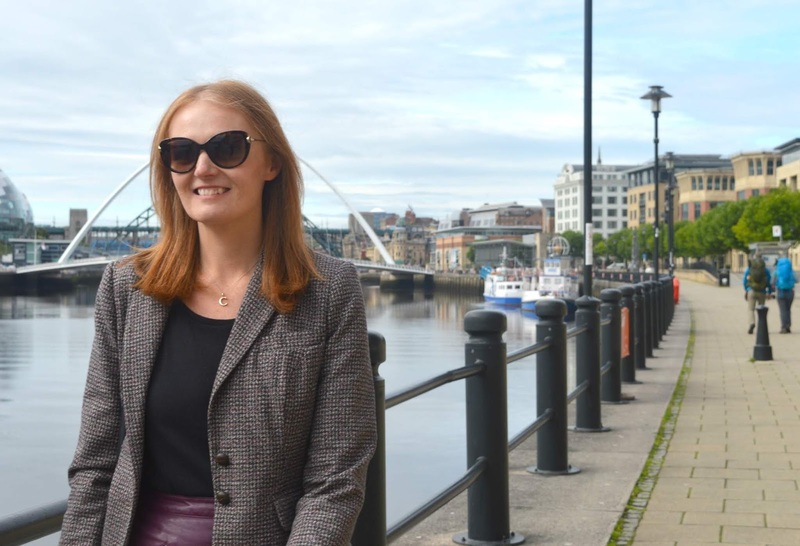 If you're planning a full day in Newcastle on your own then a solo shopping trip followed by some pamper time is a wonderful way to spend the day. There are some lovely places to get pampered in the city and it's the perfect solo activity to suit any mood. If I feel like enjoying some peace and quiet away from the high street I'll opt for a nice relaxing massage or if I feel like a bit of a chat I'll indulge in something like a manicure so I can chat to the therapist. My favourite spot for some solo pamper time is All About You at the Grey Street Hotel, it's a small urban retreat that feels cosy and relaxing and the ladies that work there are really lovely so you'll leave your appointment feeling like you've made new friends. When I'm out and about in Newcastle on my own I tend to make more effort to really explore areas where I wouldn't usually find myself. Discovering the streets on your own really opens your eyes to your surroundings and I love nothing more than having a wander because I always notice things I've never seen before. 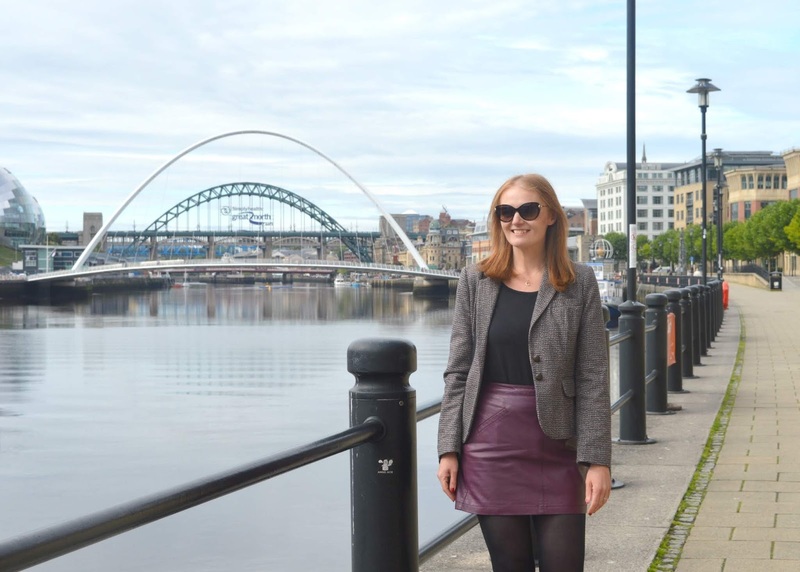 Newcastle is great for solo adventures and my favourite spots to pound the pavements solo are Jesmond and Ouseburn - both really great places for getting lost and coffee shops. We all have that one thing we love that our other half or friends just don't get! When you have a hobby that no one else really appreciates, it can be hard to find the time to dedicate to it which is another reason why I love spending some time solo. Indulging in my passions without boring someone else is such a treat! For me it's all about food photography - I drive my husband crazy making him wait while I take way too many photos of our dishes so when I'm out on my own I love to really take the time to take photographs knowing that I'm not annoying anyone else. Other great solo activities to indulge in include pottering around a Museum or Art Gallery (and we have some truly lovely places to discover in Newcastle) or looking round a local exhibition that none of your friends want to visit. I've been to the cinema on my own so many times yet it's something else a lot of people would never dare do on their own. I'm not sure why going to the cinema is a group activity when you're sitting in a dark room in silence (it seems bizarre when you think about it!). Whilst walking into a multiplex on your own may not fill you with confidence, visiting the Tyneside Cinema on your own is an absolute treat. The little independent cinema feels like home, never feels overcrowded and you can happily settle down to a movie without feeling even remotely awkward about being on your own. Yet another thing many would never dare do on their own, enjoying cocktails in the Toon is an activity most would do with a huge crowd of friends but sometimes having a nice quiet drink on your own is the best way to unwind after a busy week. 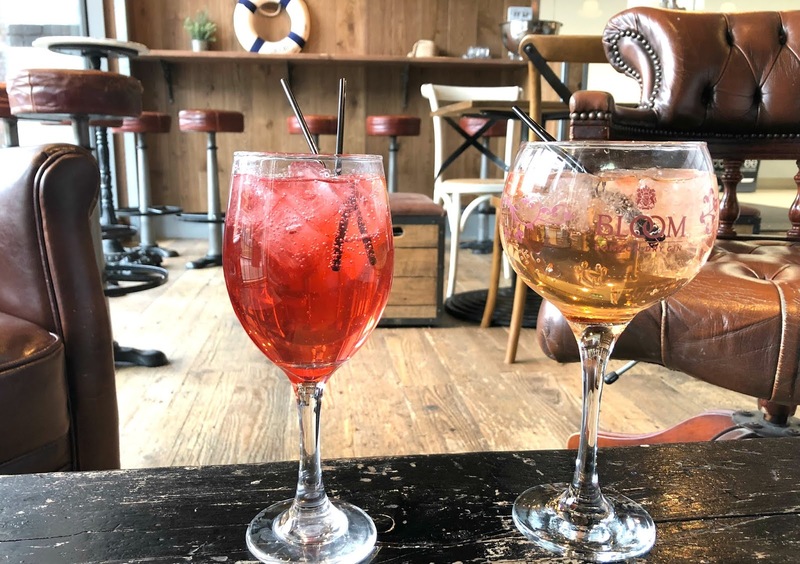 Whilst even I wouldn't really enjoy walking into a crowded pub solo there are some great spots in Newcastle where you can enjoy a drink on your own without feeling daft. Hotels are great places to head and Motel One, Malmaison and The Gin Bar at the Crowne Plaza are all perfect for a solo drink. So who's now going to plan a solo day trip to Newcastle? Honestly, give it a try - be in charge of your own time! Go where you want, when you want and do what you want! It is just SO nice being in control of your own time isn't it? I want to start taking more solo trips to the coast too! two more things on my list of places, crowne plaza and kiln, theres so mnay places now!!! Kiln is amazing - perfect for cake and breakfast! I absolutely love shopping on my own! I can wander around the same shop as many times as I like, spend as much time in the changing rooms as I want, and change my mind about what I want to buy too! I've been known to spend 4 hours in Primark and I'm pretty sure no one would ever be up for doing that with me! HA!! So much exploring to do now! Have you visited the container villages as yet?